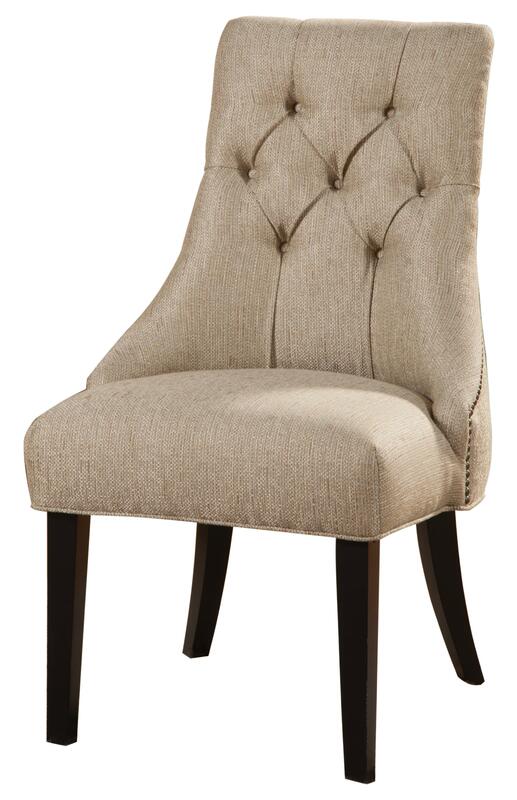 The Tufted Side Chair has a feminine appeal with a curved back, flared legs and sleek design. The chair is upholstered providing comfort and features a tufted seat back as well as nailhead accents making it stylish and classy. This chair has versatile potential as a living room accent chair, vanity chair, or dining side chair. The Accent Seating Tufted Side Chair by Rooms Collection Two at Rooms Furniture in the Houston, Sugar Land, Katy, Missouri City, Texas area. Product availability may vary. Contact us for the most current availability on this product.